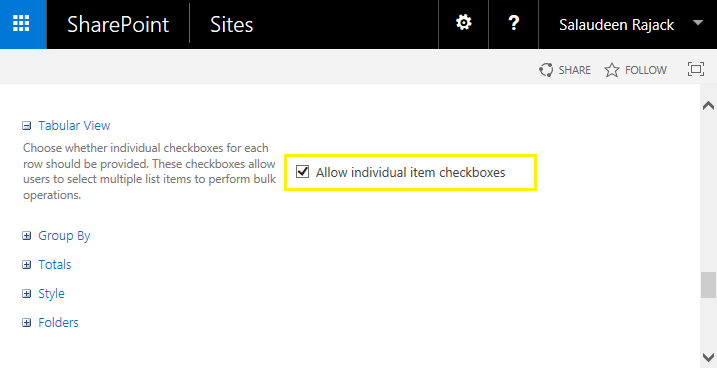 Remove checkbox from SharePoint 2016 listview header! 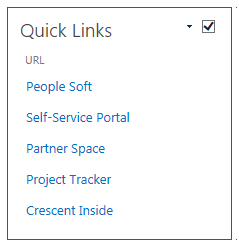 For a SharePoint links list, we had to remove checkbox from listview. Click on "Modify View" button from the List Tab of the ribbon menu. Scroll down and uncheck "Allow individual item checkboxes" tick mark under Tabular View! Click on "OK" button to save your changes. This removes the checkbox in list view. For Dataview/XSLTListViewwebpart, Open the view page in SharePoint Designer, Edit the list view page, Set TabularView="False" under "View" tag to remove checkbox! Use this PowerShell script to remove checkbox from listview web part. Write-host "Checkboxes Removed from SharePoint View!"